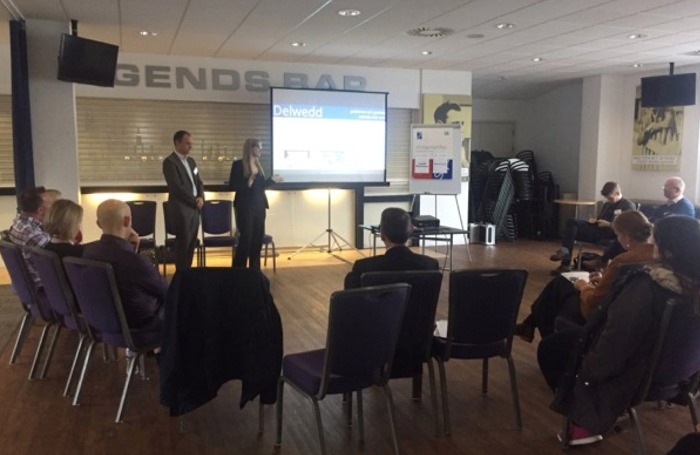 Aled and Ceri from Delwedd were recently invited to speak at the Building Communities Trust conference in Cardiff, entitled "Building a New Local Economy in Wales". We were there to speak about the role of SMEs in the local economy. In our workshop we discussed how local businesses supporting each other can strengthen the local economy, how local businesses lead to stronger local economies and how we at Delwedd are putting this into action. We also covered how being a local business doesn’t necessarily limit the opportunities available to you, particularly if you have a strong online presence which is what we aim to help our customers achieve. Thank you to the FSB for the invitation, we were happy to receive good feedback from the event and hope those in attendance found it informative. Find out how we can help your business by clicking here, or get in touch.